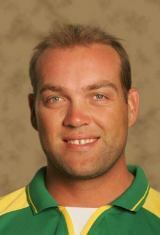 Blog of Batman » Blog Archive » Jaques Kallis – Wisdens No. 1? IPL: Indians left in the cold? You've got to be kidding! Cricket - where is it going? What's the deal with Severus Snape? Jaques Kallis - Wisdens No. 1? Jaques Kallis – Wisdens No. 1? Wisden names the South Africa’s Jacques Kallis as the No. 1 cricketer on earth for 2007. Kallis becomes the fifth player to win the accolade of “Leading Cricketer in the World” since it began in 2004 to identify the first name on a World XI team-sheet to play Mars. Previous winners include the Australians Ricky Ponting and Shane Warne, Andrew Flintoff of England and, last year, Muttiah Muralitharan of Sri Lanka. Firstly, let me congratulate Jaques Kallis on his achievement – it is indeed something special to be considered the worlds No. 1 cricketer. How often have we seen him – when we are in a strong position of 550/3 – looking to declare, yet Kallis will still bat at 2 runs to the over, preferring his junior partner to take the risks. Its as if his “not out” is more important than the teams so-called strategy of “brave cricket”. Little wonder then that he was excluded from the Pro20 World Cup – that’s just not his game. He likes his 15 overs to get his eye in, and there are only 20 overs. In this game one needs to be firing from both sides – Kallis keeping an end up while expecting his batting partner to do the work just doesn’t strike me as the ideal gameplan for Pro20. When Lara, Ponting, Tendulkar or Sehwag walk to the crease, then I sit glued to the TV – not wanting to miss a thing. However, when Kallis walks to the crease I find an excuse to work in the garden – secure in the knowledge that he will probably still be there when I return, but there’s just no way I want to watch him play. And somehow that – to me – defines the essence of greatness!. Who painted the moon black?